A reported US plan to supply lethal arms to Kiev will escalate the conflict in eastern Ukraine, Russia’s foreign ministry has warned, adding that the alleged defensive nature of the weaponry doesn’t mean Washington wouldn’t be responsible for a potential spike of violence. “The masterminds of the plan to supply lethal weapons to Ukraine, apparently, proceed from the assumption that the situation in the east of this country isn’t explosive enough already and that it’s needed to add fuel to the fire,” said Mikhail Ulyanov, the head of the Russian foreign ministry’s Department for Non-Proliferation and Arms Control. The government in Kiev has “no one to defend from” because the forces in the self-proclaimed People’s Republics of Donetsk and Lugansk “aren’t making any attempts to expand their territory,” Ulyanov said. 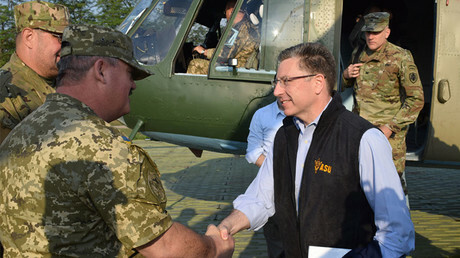 The reported US move only would escalate the violence as “those circles in Ukraine, who are inclined to bet on the military scenario, would probably perceive the American deliveries as an encouragement of military hostilities,” he explained. “The responsibility for this development would fall not only on Kiev, but on Washington as well,” Ulyanov emphasized. Kremlin press-secretary, Dmitry Peskov, also pointed out the counterproductive nature of the reported plans to supply lethal arms to Ukraine. “Our stance is well-known: we believe that all countries, especially those that are looking to be part of the settlement [of the Ukrainian conflict], must avoid any sort of actions which can provoke another spike in tensions in the already difficult region,” Peskov said. 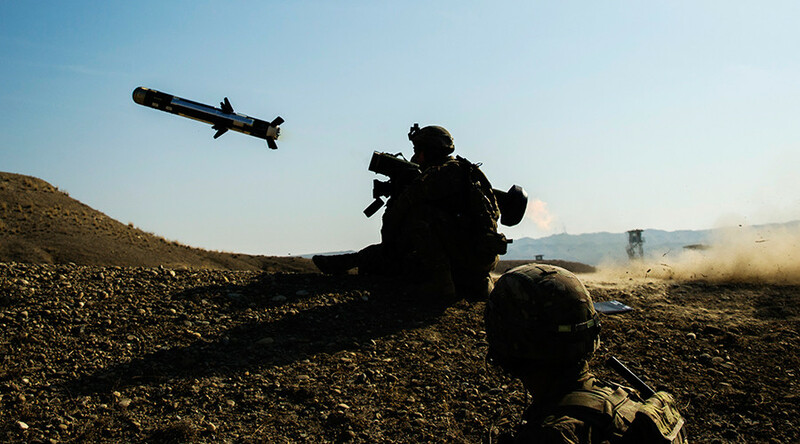 On Monday, the Wall Street Journal reported that the Pentagon and the US State Department have prepared a plan to supply Ukraine with antitank missiles and other weaponry. The unnamed high-ranked officials cited by the publication claimed that Kiev would require the American “defensive arms” to protect itself from possible aggression by Moscow. Ukraine has repeatedly asked Washington for arms supplies, with the issue being discussed during talks between president Donald Trump and Ukrainian president Poroshenko in June. The sources said though, that the plan has not been approved by the White House with Trump being unaware of the move. Kiev has been conducting a military operation in the south-east of the country since the spring of 2014, after the populations in the Donetsk and Lugansk Regions refused to acknowledge the new coup-imposed government in the capital. The death toll from the conflict has exceeded 10,000 people with around 24,000 injured, according to UN estimates.